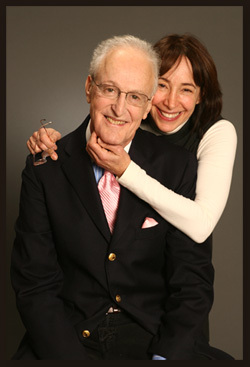 David Shire, an Academy Award and two-time Grammy winner and multiple Tony and Emmy nominee, has composed prolifically for the theatre, films, television and recordings.On Broadway, he and lyricist Richard Maltby wrote the scores for the musicals Baby (Tony nominations for Best Score and Musical) and Big (Tony nomination for Best Score). His off-Broadway scores, also written with Maltby, include Starting Here, Starting Now (Grammy nomination), Closer Than Ever (Outer Critics Circle Award for Best Musical and Score), Urban Blight at the Manhattan Theater Club, and the off-Broadway musical The Sap of Life. He also wrote the incidental scores for As You Like It (NY Shakespeare Festival), Peter Ustinov’s The Unknown Soldier and His Wife (Lincoln Center), Donald Margulis’ The Loman Family Picnic (MTC), Schmulnick’s Waltz and Visiting Mr. Green.Maltby and Shire’s most recent project, the musical Take Flight, with book by John Weidman, has been workshopped at the Eugene O’Neill Theatre Center, presented in concert versions in Russia and Australia, and produced in London, at the Menier Chocolate Factory, and in Japan in 2007. It had its first American production at Princeton’s McCarter Theatre in the spring of 2010. A Stream of Voices, a one-act opera written with librettist Gene Scheer and commissioned by the Colorado Children’s Chorale, premiered in Denver in 2009. A new Maltby/Shire Broadway musical, Waterfall, will have regional try-outs at the Pasadena Playhouse and Seattle’s Fifth Avenue Theatre in 2015 and open in New York in 2016. Shire is collaborating with Maltby and playwright Craig Lucas on another large-scale musical, Madame Sousatzka, first tried out in Toronto. He and New Yorker writer Adam Gopnik’s new musical, The Most Beautiful Room In New York, recently had a one-month try-0ut production at New Haven’s Long Wharf Theatre; and the Maltby-Shire musical-in-progress The Country Wife had a recent first public reading at New York’s Red Bull Theatre.